- A night out with your girlfriends? - Fine wine from Tailing Loop Winery? - Shopping from over 16 different local vendors all under one roof? - Prizes and fun galore? 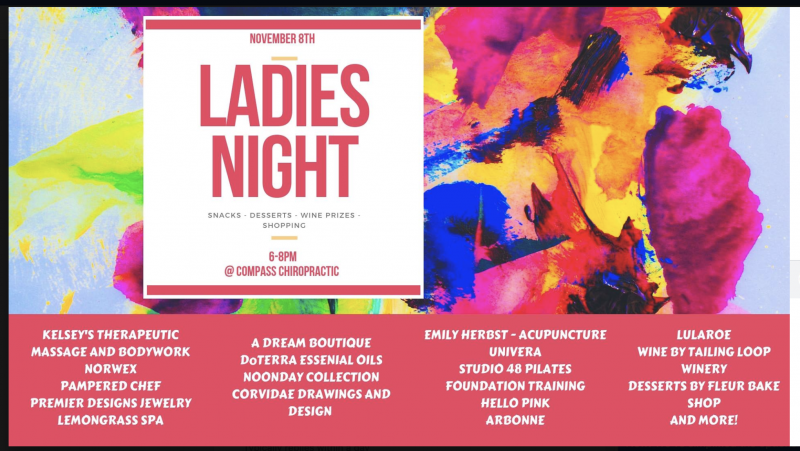 Join is November 8th from 6-8pm at Compass Chiropractic in Whitefish for an unforgettable night for fun, relaxing, laughter, shopping and prizes!